Gleeden is an online dating community and social network primarily marketed to women – specifically those who are in a relationship. It is the worldwide leading service of this kind and, with more than 2.7 million members, has a massive audience. To refresh its brand’s communication and find new ways to engage attract people’s attention, Gleeden recently turned to eYeka, and found fresh ideas to spread awareness for its controversial service. 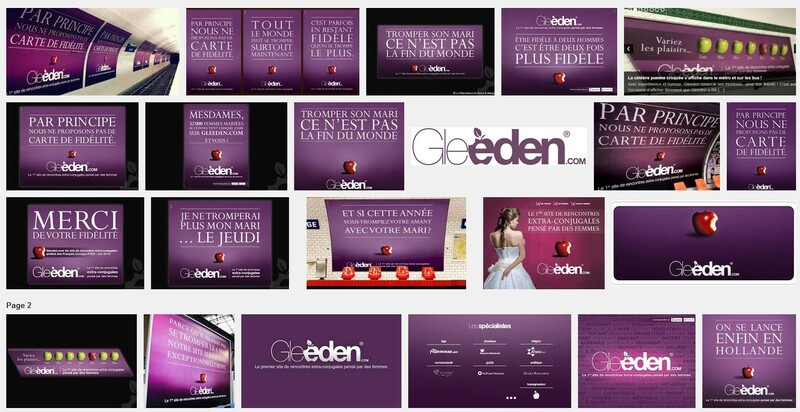 Gleeden, a portmanteau of the words “Glee” (enjoyment) and “Eden” (referring to the biblical Garden of Eden), is based on the fact that 1 out of 3 members registered on traditional meeting sites is married, and that 70% of women and 72% of men with more than 5 years of marriage have been unfaithful. Gleeden is convinced that there needs to be a site specifically tailored to people in this situation. And they seem to be right, as today the site is very successful with almost 2.8 million people from over 150 countries being registered! As the site describes itself as « the world’s premier online extramarital dating site designed by women for women, » its marketing strategy has always been to target women, with moderate to high income, aged between 30 and 50. The key visual is the forbidden fruit, symbolizing pleasure and the act of doing immoral things (note that Gleeden is anything but illegal, as its website states), and the dominant colors are plum, fuchsia and violet tones. Gleeden and its agencies use this visual identity to display provocative slogans and witty word plays, which tends to generate a lot of word-of-mouth and press coverage for the brand. Gleeden’s key visual is the forbidden fruit, wrapped in violet tones, and accompanied by witty word plays. But earlier this year, Gleeden wanted a breath of fresh ideas. 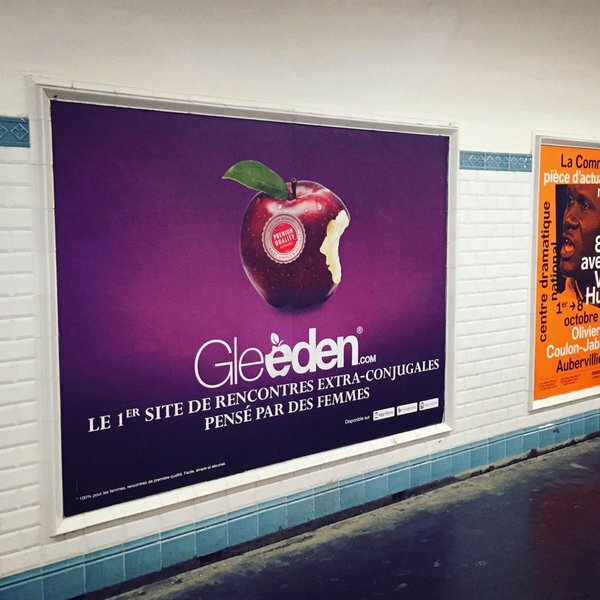 So they turned to eYeka: « Stop passers-by in their tracks by creating a print ad for Gleeden.com, the website and mobile app that makes infidelity for married people easy, simple and secure, » the brief said. In 3 weeks, the community submitted 257 ideas, and Gleeden rewarded 4 winners – more than the 3 that were initially planned. « We [thank] the participants for their original, innovative and « out of the box » creations. It has been a pleasure to review each of them, » the brand explained. 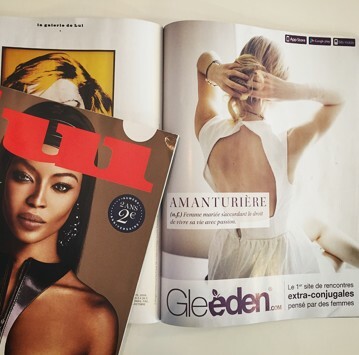 The two other winners, « Spice Up Your Life » by Raluca_Pantis and « Trompé Sur Toute La Ligne » by Rubinstein, are also expected to promote Gleeden’s website and brand in the near future. We will make sure to keep you posted! Do you need to spice up your brand’s communication too? Get in touch with eYeka! This entry was posted in Clients, Contests and tagged advertising, branding, Design, positioning. Bookmark the permalink.